Good Thursday to one and all. We have a bit of a break from the worst of the winter weather out there. This isn’t going to last long, as another arctic front slams through later Friday. 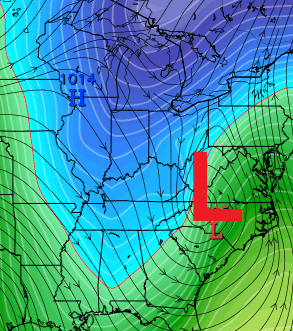 That could set the stage for a much bigger system to affect the region by late this weekend. Highs Thursday will range from the low to middle 20s with a mix of sun and clouds. Highs on Saturday might not get out of the upper teens in some areas. Lows by Sunday morning could drop into the single digits. The forecast for late Sunday and early next week continues to be one to keep a close eye on. A storm system is likely to develop and work across the Tennessee Valley. That system then is likely to turn the corner and ride up the Appalachian Mountains. We will just have to wait and see how all this plays out in the coming days. Make it a great Thursday and take care.